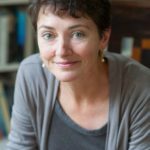 The co-author of The Guernsey Literary and Potato Peel Society on finding her family's voice. That’s what I said. Of course, that’s what I said. I would have done anything for Mary Ann. But here’s what I thought: This is impossible. Impossible. How am I supposed to write Mary Ann’s book? In Mary Ann’s voice? I don’t sound like Mary Ann. I don’t write like Mary Ann. And besides, I’m a children’s author—I don’t write for grownups! 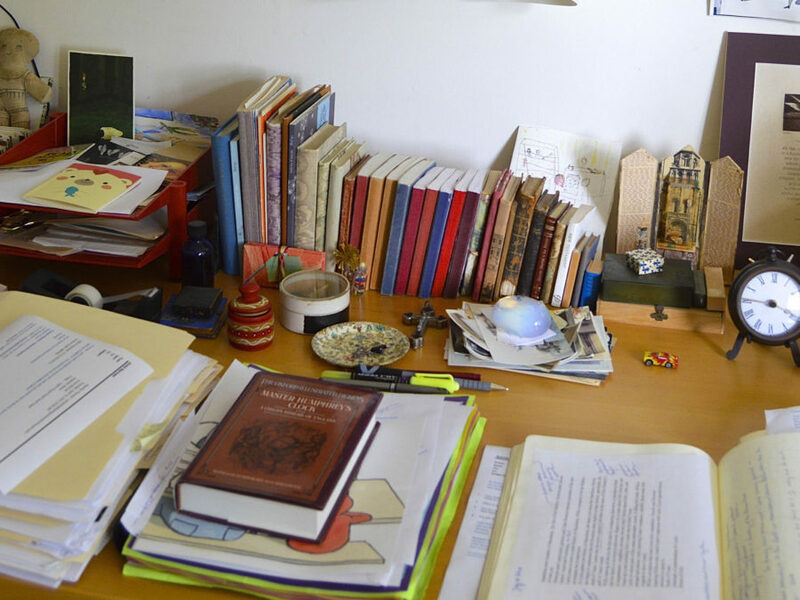 I remained fully persuaded of the impossibility of the task until the first day I sat down to work on the manuscript. I wrote for two hours without taking a breath, and then I realized what I had done: I had written Mary Ann’s book in Mary Ann’s voice. And it was easy. It was simple. It was like listening to Mary Ann talk, which I had been doing all my life. 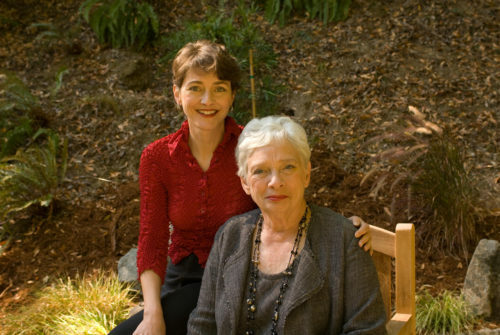 Annie Barrows and her aunt Mary Ann Shaffer, co-authors of The Guernsey Literary and Potato Peel Pie Society. I thought when I began working on Guernsey Literary, that I would finish the book and my family would be glad, and then we would all go back to our regularly scheduled lives. That is not what happened. Mary Ann passed away five months before Guernsey Literary was published—which will never cease to strike me as unspeakably tragic—and never saw what her book meant to millions of readers around the world. Instead, in the wake of Guernsey Literary’s astonishing success, I was asked to tour around the country giving readings and talks. And as I did so, I encountered, in nearly every audience, dozens, scores, and maybe hundreds of times, the Big Question. The Big Question was couched in a number of different ways—some accusatory, some congratulatory—but what it really boiled down to was this: Why can’t I tell which part you wrote and which Mary Ann wrote? This is a completely understandable question. Partly, it’s because Americans like to give people credit for their work; they want to appreciate the right person. But partly, it’s because it’s weird to have two people write indistinguishably; it opposes our idea about the essentially individual character of art. We have an attachment to the idea of the singular artist, the irreproducible creative sensibility. After all, singularity is essential to value. So how were readers supposed to respond when they couldn’t distinguish between Mary Ann’s writing and mine? Many responded with literary sleuthing; I received a lot of communiqués announcing that it was obvious that I had started writing on page 217 or 180 or 92. That I was responsible for the children. That this phrase or that sounded jarring and therefore must be mine. None of the suppositions were right. It was really kind of surprising. Just by the law of averages, there should have been some correct attributions, but there weren’t. Even close friends of mine who announced triumphantly that they had found irrefutable evidence of my authorship were always wrong. At first, I was simply happy that I had done what I was supposed to do. Then, because everyone else seemed to consider it such a feat of self-camouflage, I got kind of puffed up about it. And then I began to wonder—how had I done it? How had I managed to write Mary Ann’s book, in Mary Ann’s voice? I knew it wasn’t, in truth, self-camouflage, but an excavation of the past, of the many thousands of hours I had spent listening to my mother and my aunt Mary Ann talk. This led me to think about the influence of family on voice—specifically the influence of my family on my voice—and from there, I started thinking about the power of family stories to create a family voice, that inescapable web of associations and allusions that makes it possible for families to communicate entire volumes in just a few sentences. Or say three words and cause the whole family dissolve into giggles. In my family, for example, you can merely say, “Anna May,” and everyone present will respond, “Puh! Her!” There’s no need to add more. 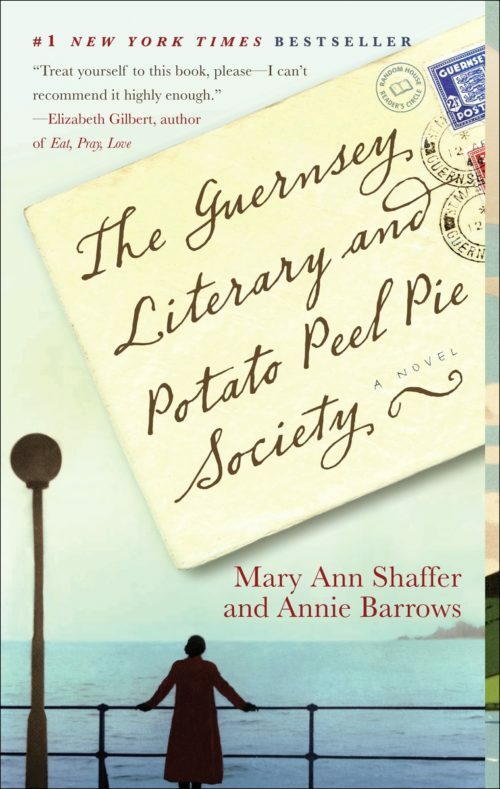 To learn more about The Guernsey Literary and Potato Peel Society, click here. While the past—the real past—is unattainable, what is available is the manufactured past. When I was young and fact-bound, I found this deeply offensive; I wanted the Truth, the Whole Truth, and Nothing But the Truth. But, having experienced—via Guernsey Literary—the expansion of identity made possible through the family inheritance of tales and telling, I think that the treasure is the creation, the story, the lie that becomes the truth according to us. ANNIE BARROWS is the author of the children’s series Ivy and Bean, as well as The Magic Half. Her novel The Truth According to Us is out in paperback now. She lives in northern California.